Re-work 'Layla' and win prizes! 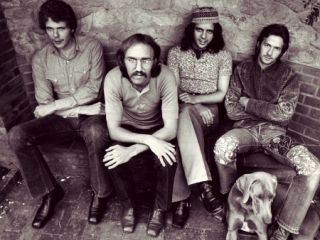 Derek And The Dominos' classic album 'Layla And Other Assorted Love Songs' is getting the deluxe reissue treatment and to celebrate the band are asking players to rework the iconic riff of the record's namesake. To enter their competition (this is not in conjunction with TG), guitarists need to upload a video of themselves playing the song's opening lead line to YouTube or Vimeo and post the link on the Derek And The Dominos Facebook wall. Founding band member Bobby Whitlock and original engineer Andy Johns will then pick their favourite. The winner will be contacted on 3 April via private Facebook message and will receive a Super Deluxe Edition of 'Layla And Other Assorted Love Songs' and a one-off canvas print of the artwork. 2011 marks the 40th anniversary of Derek And The Dominos' 'Layla And Other Assorted Love Songs'. A super deluxe edition of the album will be released on 29 March, including an expanded and remastered live set recorded at the Fillmore East, heavyweight 180 gram vinyl double album, pop-up 3D artwork and a hardcover book. Total Guitar issue 213 (on sale 18 March to 14 April) contains the story behind, chord sheets, scales and a backing track for Eric Clapton's 'Tears In Heaven'. Watch our 'Tears In Heaven' video lesson online.